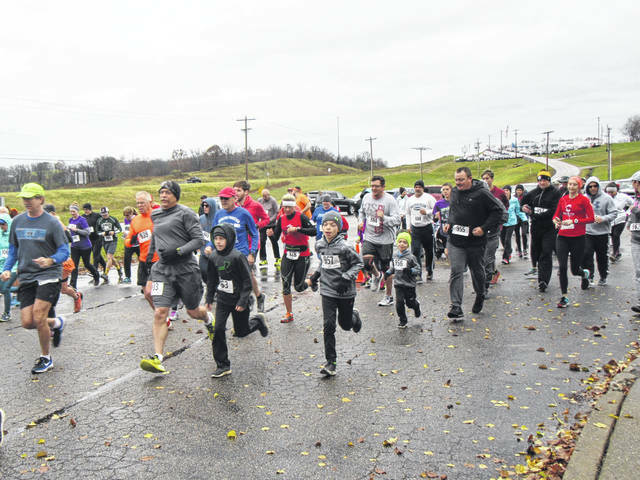 Runners braved the rain and the cooler temperatures to take part in the annual Keep Your Fork 5K. 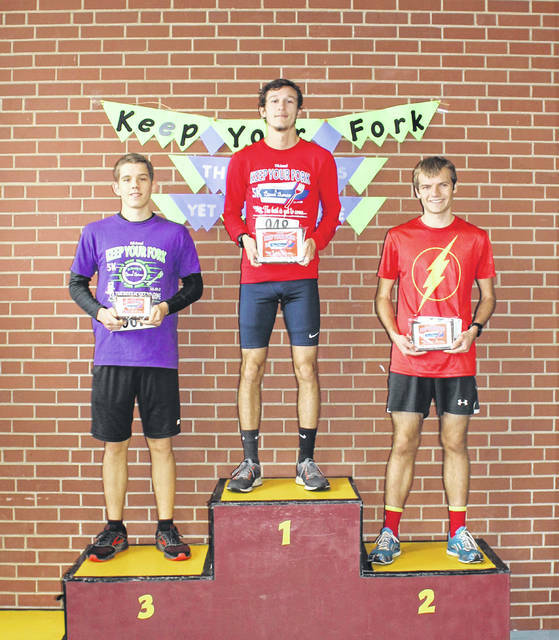 Courtesy photo Men’s winners (L to R), 3rd Place Colton Heater (20:46), 1st Place Hunter Parsons (17:46), 2nd Place TJ Hoggard (18:45). Hunter Parsons was the men’s race champion. Jess Cook was the women’s race winner. 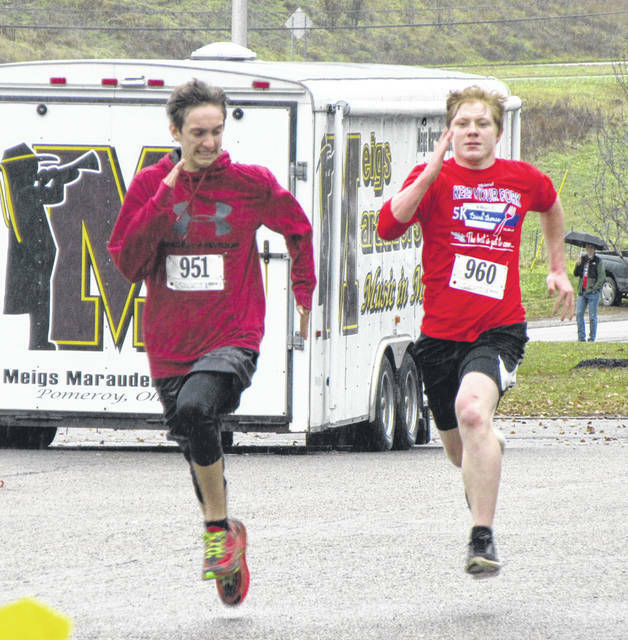 Christian Klein and Dillon Mahr sprint toward the finish line. 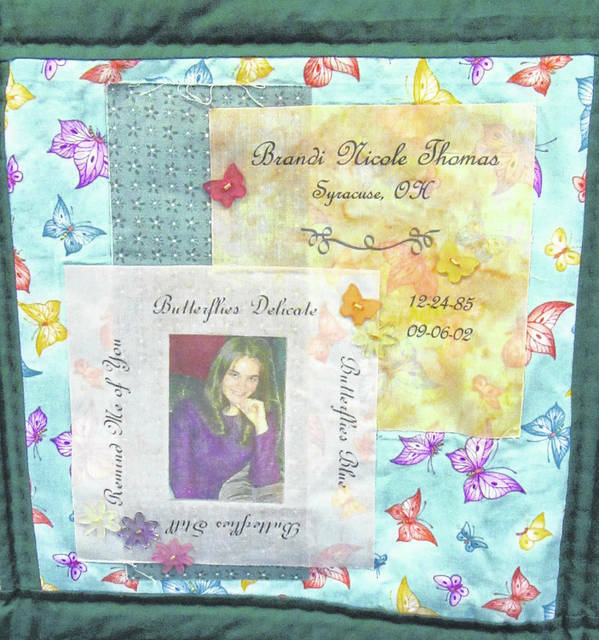 The quilt square in memory of Brandi Thomas on the Donate Life quilt which was on display at the run. 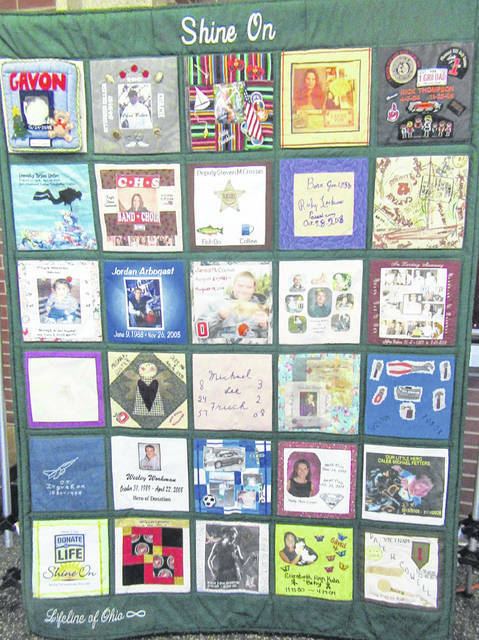 The Donate Life Quilt was on display at the run. Also on display was a quilt made from several of the past race shirts. 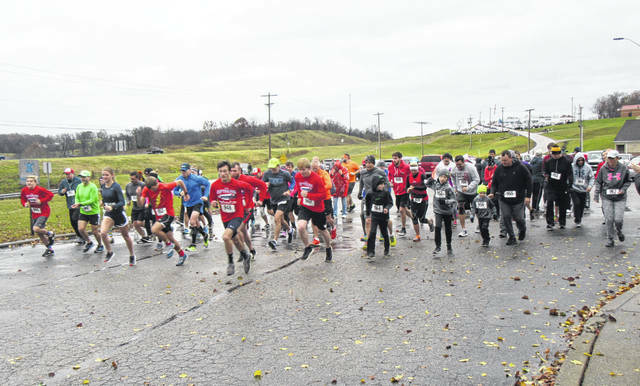 ROCKSPRINGS — Damp and cool conditions did not stop runners and spectators from taking part in the 17th annual Keep Your Fork 5K race last weekend in memory of Brandi Thomas. 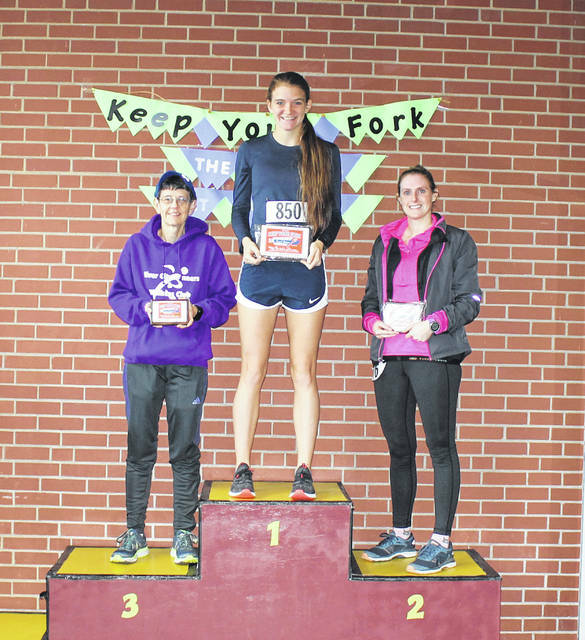 The race, which is held the Saturday after Thanksgiving each year, raises money for the Brandi Thomas Memorial Scholarship Fund which awards two scholarships each year to Meigs students who have been involved in cross country and/or track and field. The race gets it’s name from the tale of the woman and the fork. As the story goes, a young woman who was nearing death from a terminal illness had one final request of her rabbi. Cheryl Thomas, Brandi’s mother, explained that soon after her passing, as the family was discussing plans for the possible 5K, they were given the story of the woman and the fork. From that came the name for the race held each year in memory of Brandi. A fork is included in each of the registration packets as a reminder to the runners. 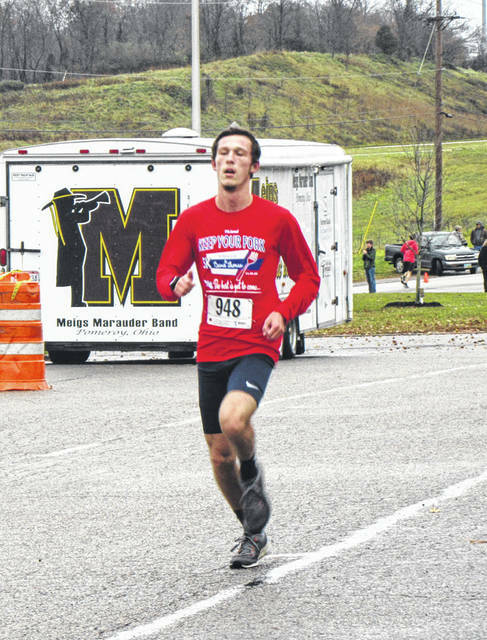 Hunter Parsons was the race winner for the second consecutive year, besting his 2017 time by 20 second to win by nearly one minute. 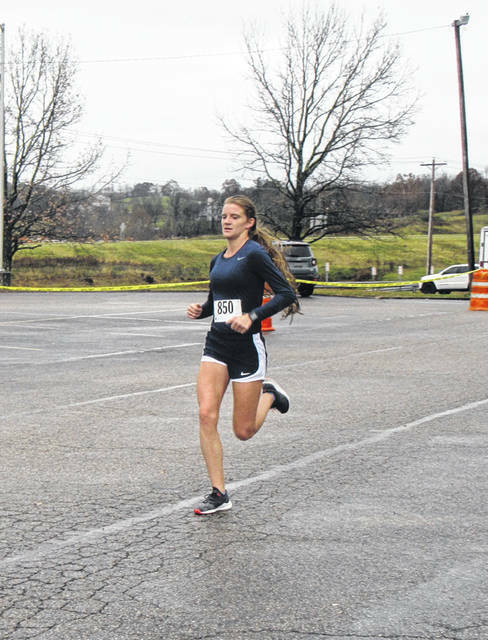 Jess Cook was once again the top female finisher and third among all runners, cutting more than four minutes off her 2017 time. 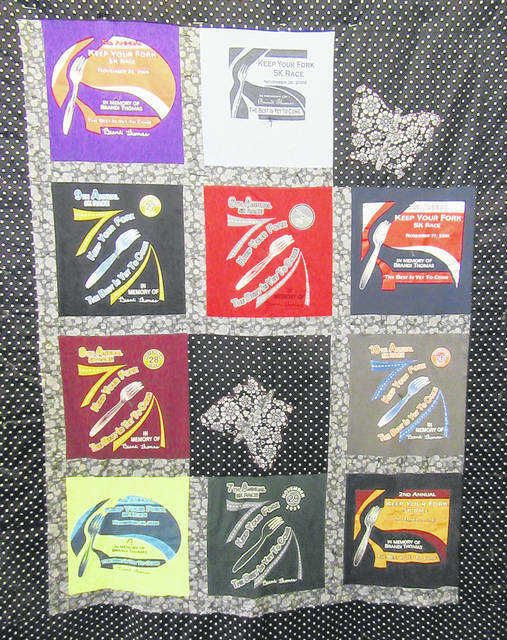 In the registration area, there were two quilts on display — one with previous race shirts and one from the Donate Life organization which includes Brandi’s quilt square. An informational table was also set up to provide information on organ donations. Brandi was an organ donor, which allowed her to help others even in her passing. The Brandi Thomas Memorial Scholarship fund was established in honor of Thomas, who died in 2002 as a result of injuries sustained in an automobile accident. Thomas was a member of the Meigs cross country and track and field teams. Female — Francie Shrimplin (57:18); Marge Barr (60:02); Bette Hackett (60:03).